Looking for blenders with 1000 watts or more? We've listed out 9 blenders that go above and beyond for almost any budget. And we've included some brands that you may have never heard of before. 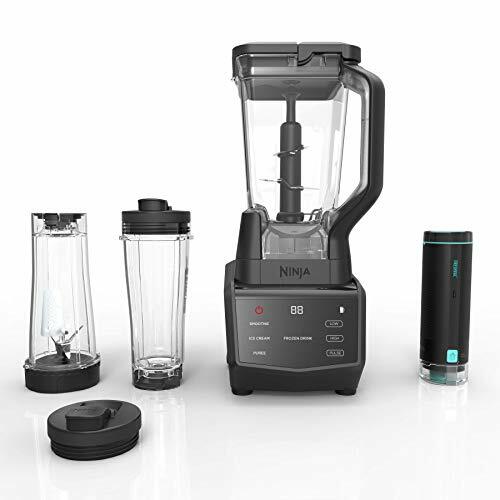 With a 1400 Watt motor, it’s easy to see how this blender can power through anything that you put in it, including shakes, smoothies, batter, and dough. Rely on the 7 pre-programmed features for easy blending that is hands-free. Additionally, this blender keeps all of your ingredients incredibly fresh and tasting the best that they can due to the Freshvac technology. The unique blades are spaced evenly so that you do not have to worry about certain ingredients not getting blended correctly. 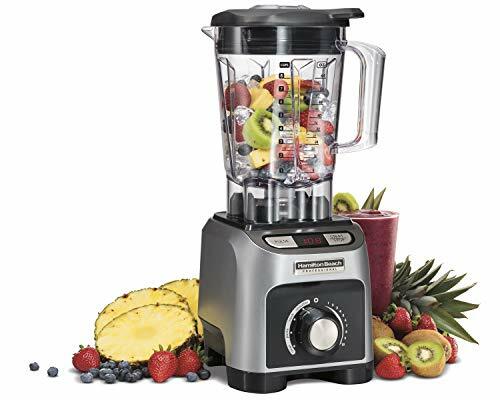 The motor on this powerful blender operates at 1800 Watts and turns the blades at more than 140 mph, which means that you don’t have to worry about how quickly or easily you can power through ice, nuts, or seeds. You can grind grains and make smoothies in this blender without problems, and the clean setting on the blender makes it incredibly easy to wash it out without worrying about food drying underneath the blades. Even though the motor is powerful, you don’t have to worry about it overheating, as it is thermal-protected to prevent any problems during operation. 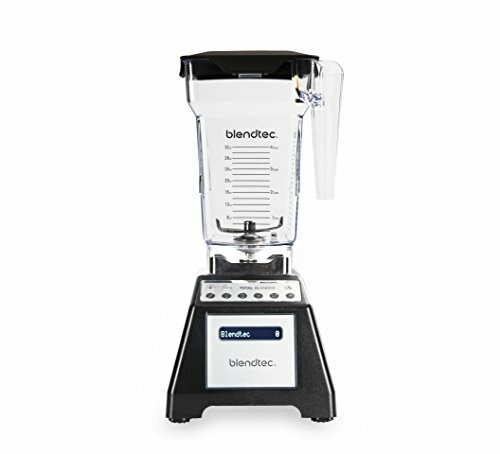 With six different pre-programmed cycles, you can easily turn this blender on and then walk away without having to worry about standing by to tamp down ingredients for even blending. Add in additional ingredients, and use the pulse feature to layer them over a smoother base, if desired. Thanks to the comprehensive 8-year warranty, you can get the help that you need if your blender breaks. While Blendtec blenders are known for being great in commercial settings, having one in your home kitchen gives you a lot of power and flexibility when cooking. This high performance blender actually uses less power than other similar blenders, but it produces superior results, thanks to the powerful motor and the sharp blades. 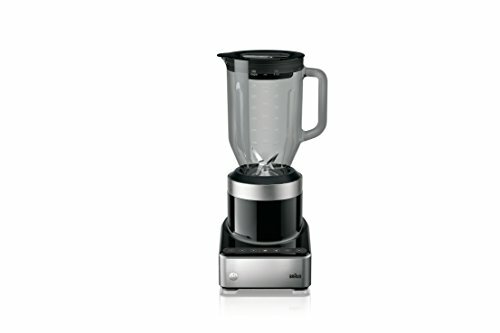 With a 10-year warranty on the motor and 7-year warranty on parts, it’s easy to see why this blender has a great reputation for lasting a long time. Unlike other similar blenders, this one can blend even ice and frozen ingredients without being too noisy. 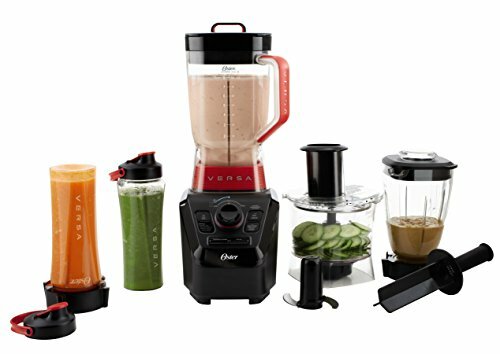 Thanks to the 16 different pre-programmed speeds, you can power through nuts, smoothies, chop and grind, and even make velvety soups. 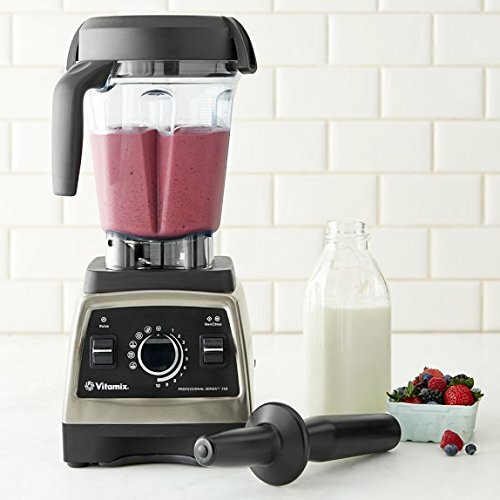 Vitamix has a reputation for producing high-quality blenders, and this 1200 Watt blender is no exception. You can rely on the stainless steel blades as well as the powerful 2.2 horsepower motor to provide you with ultimate blending capabilities. The rubber lid fits securely in the BPA free carafe, but it has a small plug that you can remove so that you can easily add additional ingredients while the blender is operating. Heat up soup quickly, thanks to friction, or create vegan ice cream quickly in this powerful machine. Because you can mix dough and batter, as well as grind coffee, nuts, and spices, you’ll soon find this blender an indispensable part of your kitchen. Even the toughest ingredients can be smoothly blended or ground, thanks to the power of this motor. 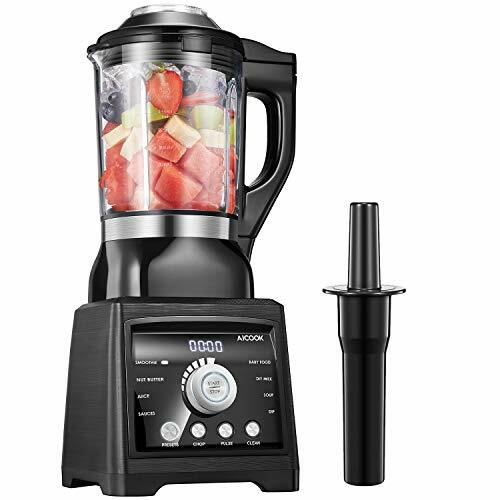 Not only does this blender operate really quickly, but it is also very durable and quiet, thanks to the rubber coating inside, as well as the power drive. It’s easy to clean up after using this blender, as the blades come out quickly and easily, allowing you to clean without having to worry about cutting yourself. Rely on the three different speeds, pulse feature, and three pre-programmed options to enjoy complete and total blending without problems. This long video from HSN has lots of demos if you want to check it out. Be warned, though - it's stereotypical retail TV! 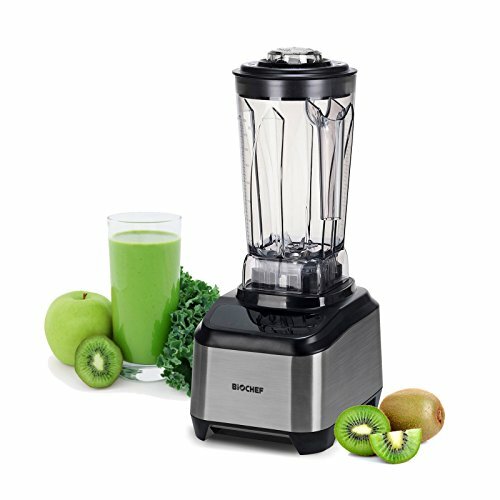 This blender is one of the strongest and most powerful available on the market, with 1450 Watts. The powerful motor combined with the hardened blades means that you can crush ice significantly faster than with other blenders and that your final product will be velvety smooth. Rely on the 8 variable speed control so you can have the perfect texture every single time and use the 4 pre-programmed settings when you want to be able to turn your blender on and forget it. The BPA free pitcher is 5mm thick and 70-ounces, which provides ample space for any of your blending needs. 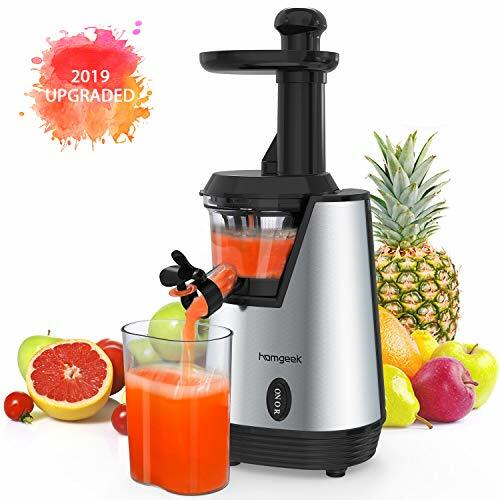 The motor on this blender is incredibly powerful, and when paired with the 6 stainless steel blades, you will have all of the blending and crushing power that you want. Coated with titanium, the blades can easily power through any hard vegetables without any problems. The eight preset programs on this blender make blending, chopping, and even heating your food fast and easy. Because you can put the parts of the blender directly into the dishwasher, you don’t have to worry about lengthy cleanup. Not only does this blender have a very powerful pulse function, but it also is self-cleaning. This means that you don’t have to worry about how you are going to wash the blender if you are in a hurry. It does have 50 watts more, but it will give you a good idea. The BPA jar holds 8 cups, which means that it is large enough for you to blend smoothies for your entire family. Thanks to the powerful 1100 Watt motor, you aren’t limited in what you can include in your custom blends. The blades are designed to alternate back and forth, which ensures that frozen ingredients are completely chopped up and that no chunks remain in your meal. Enjoy the pre-programmed settings for faster blending, or opt for manual settings if you prefer a little more control over your blender.